Commack is both an official CDP (census-designated place) and hamlet that overlaps the towns of Smithtown and Huntington; it is named for a word from the native Secatogue tribe meaning “pleasant lands.” Long occupied by farms and farmhouses which took advantage of the area’s fertile soil, Commack began rapidly developing into a burgeoning suburb during the 1950’s. A number of the town’s larger retailers (such as Target and Sports Authority) currently stand on what was once Long Island Arena. Open until 1996, the arena was home to the then New York Nets during their second season (1968-69) in the American Basketball Association, and several tracks of Peter Frampton’s famous Frampton Comes Alive! double live album were recorded there. Though the town does not have a proper main street, it is host to a thriving business district which it shares with East Northport; a high volume of restaurants, markets, retailers, and other businesses have established themselves near Commack’s strip of Jericho Turnpike and Veterans Memorial Highway. The Commack School District currently contains eight buildings— a high school, a middle school, two intermediate schools, and four primary schools. Among its more famous residents stand comedienne and actress, Rosie O’Donnell, and renowned sportscaster, Bob Costas. 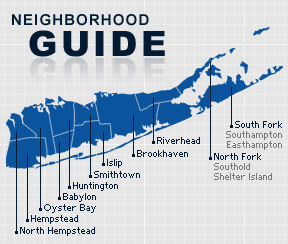 As of the 2010 census, Commack had a population of 36,124 with 9,688 households. The town has both an average household and average family size of 3 persons. 2007 estimates show a median income of $109,431 per household, $61,475 for males, and $39,124 for females.